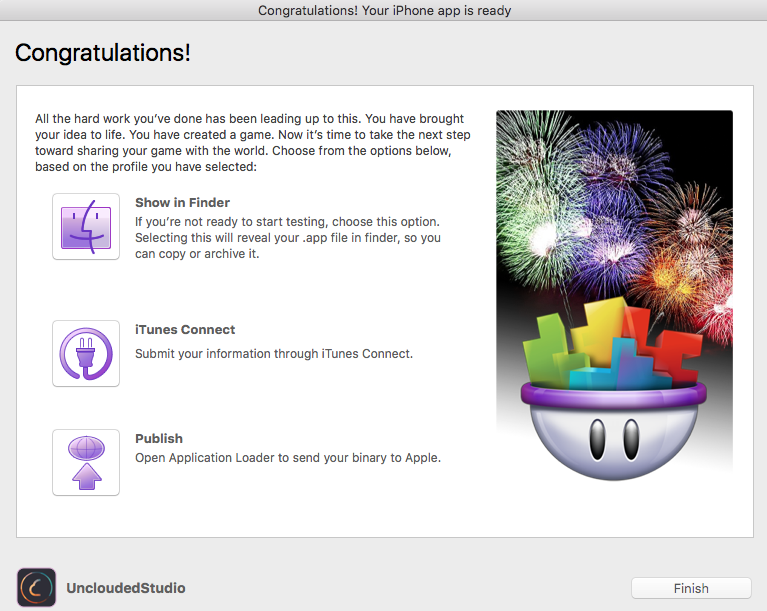 iTunes Connect errors — Welcome to the GameSalad forum! Hi. I'm currently going around in circles trying to upload my game through iTunes Connect. The first version that I did was rejected by Apple because " In-App Purchase products have not been submitted for review." I'm not sure what they mean by this because I thought that I did all of that. Am I right in saying that it should be done through Application Loader? They also said that I had to submit a new Binary. Does that mean republish my game through GS, sign it as part of the process etc? Because that's what I've done. This is now giving me this error message in Application Loader: "No .app bundles found in the package". I'm putting the .app file produced by GS into a folder called Payload, zipping it and then renaming it to the name of my game and changing .app to .ipa. I've also tried just .zip, and without putting it into a folder. None of the above combinations is working. I'm signing it with APPSTORE at the moment but have tried ADHOC and DEV too with the same result. Everything I read online suggests that it's a signing issue – but if it doesn't work with any of the 3 that are on offer what else can I do? Apple mentioned that I had to submit a new binary – this doesn't include generating new certificates, does it? PLEASE, can someone help? I've been at this for weeks. I've been trying to get this game of mine up for the last few months now and am losing my mind. surely someone has an idea of what I can do?? I've been trying to think about it mate - don't you have to submit IAP's with a new binary? - have you done this? - ie. created the app, possibly uploaded a binary, created some IAP's, selected that you have IAP's within the binary/app submission, then submitted a new binary with IAP code/IAP's present? No, if it's setup correctly you do not have to do this again. When you say "possibly uploaded a binary" – what do you mean exactly by that? Just to clarify. My steps have been: make the game in GS. Hit publish. Hit Generate. Hit sign. Zip it etc. It worked the first time. Then the rejection by Apple. Now the waking nightmare. Thanks also to @UncloudedStudio – I'm glad you've given me reassurance re the whole signing thing – at least that's one thing that I can take off the list as possible causes. 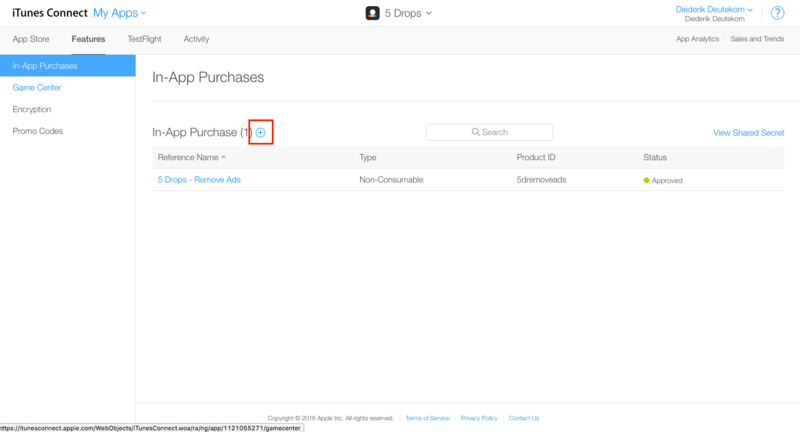 I did add the IAP (only 1 - ads off) in iTunes Connect, so this also weirds me out. What I don't understand is how it can say that there are no app bundles in the package when I know I published it and processed it?? How can this be?? @monkeyboy simian Is it possible you are using MacOS Sierra? It's very likely that this is causing for problems. dammit.. I actually saw that same thread during my googlings.. I was hoping that it wasn't across the board. So according to the thread, if you're actually foolishly up to date with Apple – you're stuffed, right? So if I'm seeing this right in my tiny mind.. any developer, commercial, big time or try hard (like myself), can't actually upload to iTunes Connect at the moment if they're using up to date Apple software??? If this is true GS should have a note of it somewhere. This is major if this is across the board. This wouldn't happen if Steve was alive. @UncloudedStudio It worked!!! Thank all the deities for that! – and of course you! I have to declare that my mistake – not checking to see if I had the latest version of Xcode. I guess I was complacent, thinking that if a new version was available that I'd be prompted.. noooo... no prompting. Lesson learned. @monkeyboy simian Great, glad to hear that it worked!